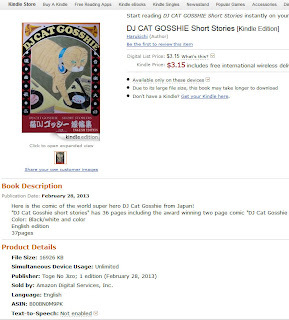 ハル吉とゴッシー (Harukichi and Gosshie): DJ Cat Gosshie goes to KINDLE! DJ Cat Gosshie goes to KINDLE! 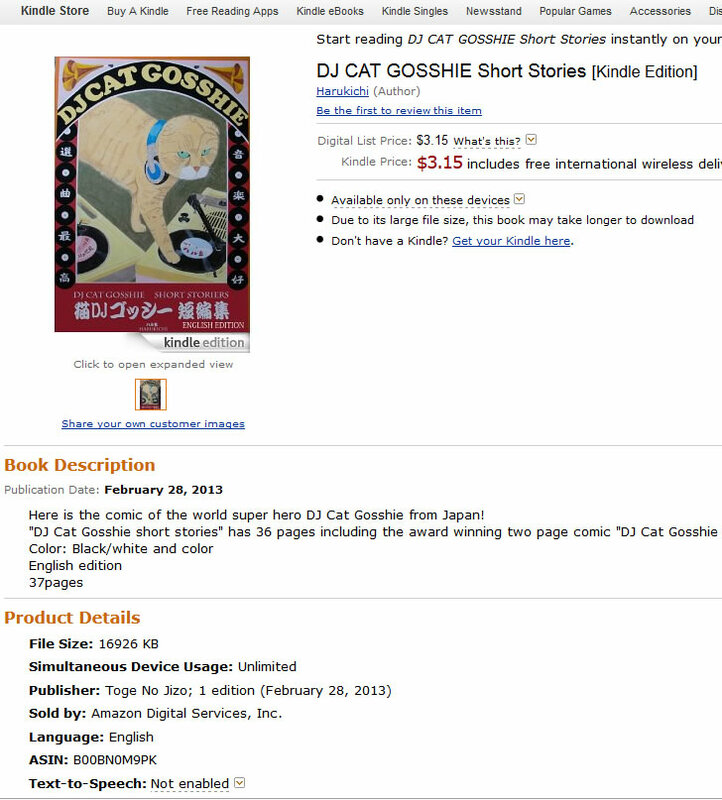 My comic DJ CAT Gosshie short storires English edition is released in Amazon Kindle. You can buy here or any Amazon branches in the world. The price may vary.